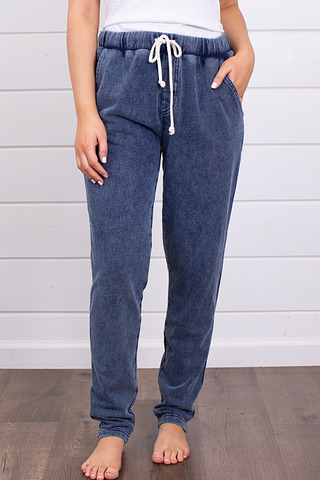 The Silk Trimmed Fleece Pant are anything by casual. 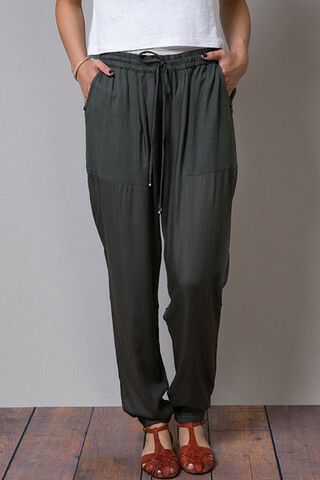 These elastic waist pants are trimmed in silk and have a tapered leg. Pair with booties and a sweet little sweater to dress up the look. Proudly made in the USA by Heather by Bordeaux. Made of 62% modal, 3% spandex, and 35% cotton. Dry clean only. Photographed with the Pounce booties by Seychelles.